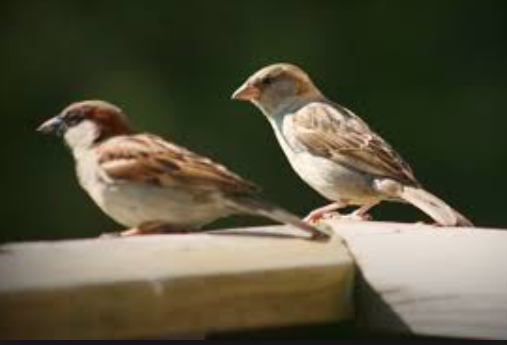 The short story "Sparrows" was written by famous Indian writer K A Abbas. It is a touching story of life a man who was cruel to his relatives and other people. He was the most hated person in the village. He was abandoned by his two sons and later by his wife. Living alone, he noticed a nest of sparrows in his house. He started to care about the family of birds, he even gave two baby sparrows the names of his sons: Bundu and Nuru. The attitude of the town dwellers toward him changed dramatically when he became ill and people heard how he said to himself, "Oh Bundu, Oh Nuru, who will feed you when I am gone?". People called his wife and sons to return home to look after him. "Next morning when Rahim Khan's wife, anxious and weeping, came with her sons, a group of neighbors collected in sympathy. The door was locked from the inside, and in spite of loud knocking, no one opened it. When they broke their way in they found the large and gaunt frame Rahim lying in the brooding silence of the room, broken only by the fluttering of four sparrows." The story is instructive and speaks to the nature of life.